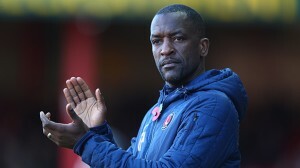 Charlton manager Chris Powell was delighted with the character his young players showed at Dagenham on Tuesday evening. The Addicks boss singled out Callum Harriott and Jordan Cousins for praise in particular. Fellow youngster Jordan Cousins also caught the eye for the visitors. The versatile midfielder and defender went on the tour to Spain with the first team squad a few weeks ago, and Powell paid tribute to his performance. Elsewhere, Powell also gave Joe Pigott and Morgan Fox some game time in the second half, and was pleased with how they acquitted themselves. “I’m not afraid of putting the boys in, and hopefully they’ll become a mainstay of my first team squad”. With a lack of summer transfer activity so far, Charlton fans could find themselves becoming a little more familiar with these young individuals if Powell’s comment are anything to go by.